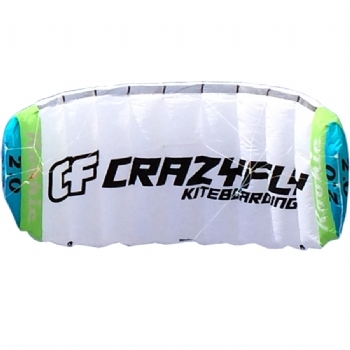 The Crazyfly Rookie trainer kite is the perfect trainer kite to get started in kiteboarding or traction kiting. This smaller kite and two-line control bar will teach you basic kite handling skills and also about the wind before you move up to a full-sized water, snow, or land kite. Trainer kites are fun and easy for anyone to fly. Take one to the park or beach with your family and friends or ower yourself down the sidewalk or in a parking lot on a skateboard. When the winds pick up a bit, trainer kites can deliver impressive speed and enough power to pull you down the beach. 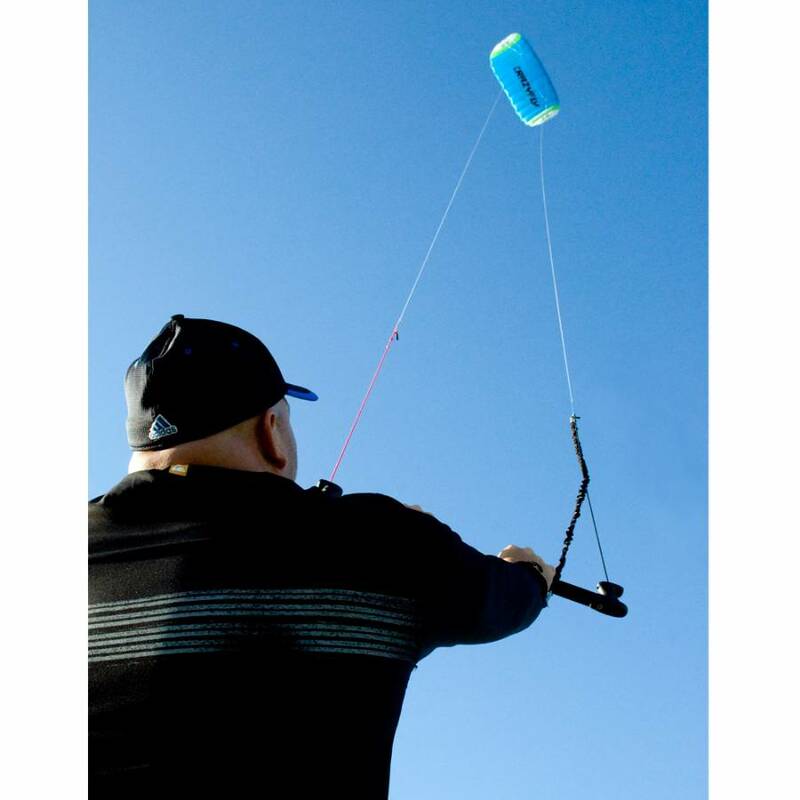 The Rookie trainer is the first ever two-line relaunchable trainer kite. Just pull on one line and the Rookie pops off the ground and easily relaunches. 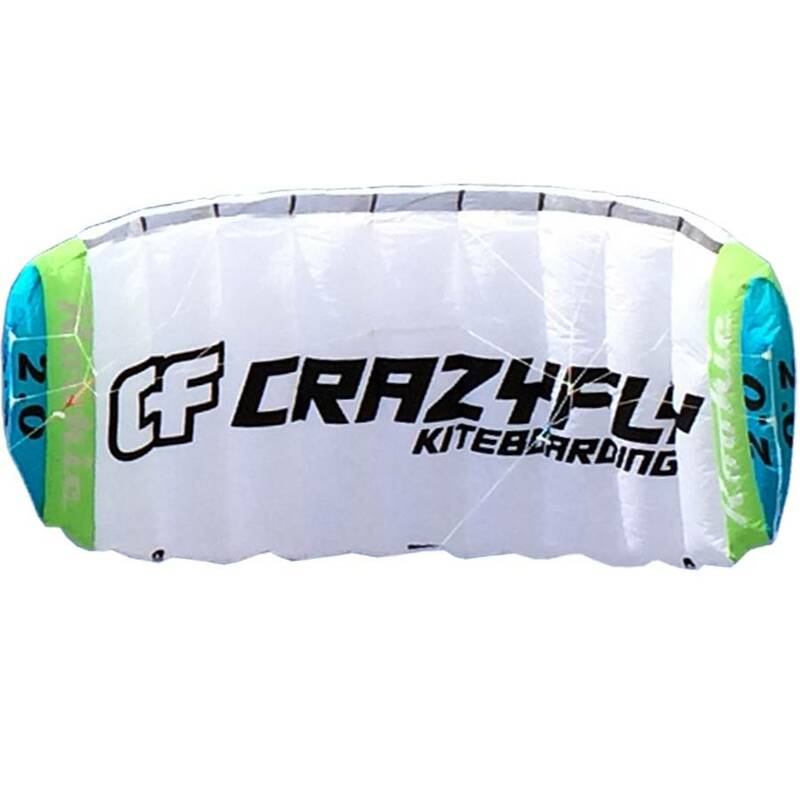 It is the most stable and smooth trainer kite on the market today and was named Kite of the Year by Kiteworld Magazine; this kite is truly revolutionary. The Rookie comes ready to fly with the lines and bar hooked up so all you have to do is unwind and fly. The two-line control bar is cushioned, intuitive to use, and doubles as a line winder. Included wrist leash will collapse the kite to the ground by letting go of the bar. The kite has self-cleaning vents so any sand that gets in it will automatically be dumped out. Strategically positioned internal baffle vents evenly distribute pressure throughout the kite, making it the most durable trainer available. Kite colors will vary from photographs. The Rookie Trainer kite comes in true 2 meter and 3 meter sizes. Shop Note: The Sensei Trainer is our favorite kite to use for teaching. Being able to relaunch after a crash saves time and effort, and we are amazed at what these kites can hold up too. The 3M also works great as a inexpensive kite to use with a mountainboard or skateboard because of its smooth power generation and amazing stability. The Senseii is truly the best trainer available on the market. Great learning kite for my boys. They really love it. Fast shipping. Will shop again.